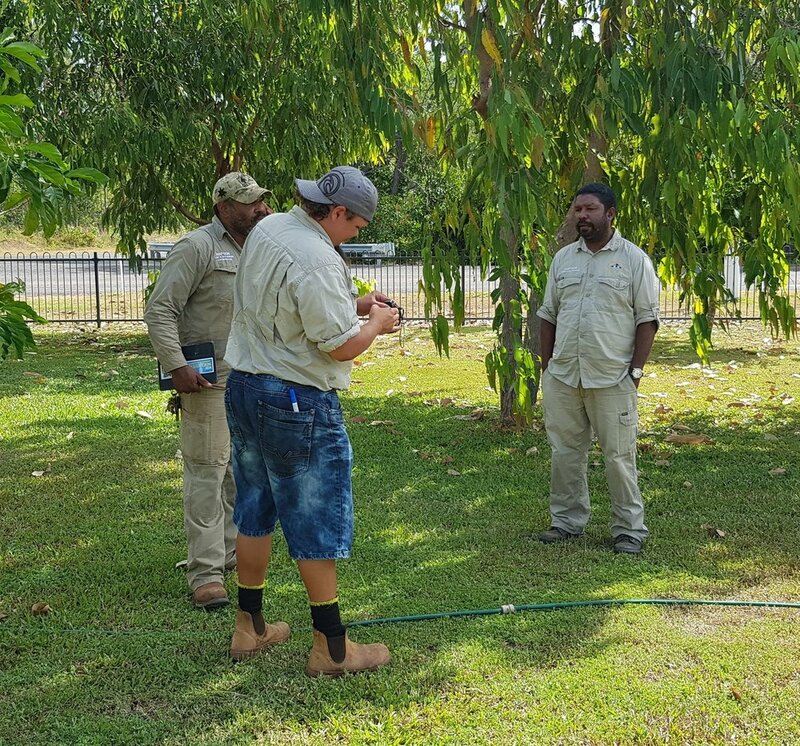 The Aboriginal Carbon Fund (AbCF) along with Caritas Australia and the Centre for Appropriate Technology Ltd (CfAT) were in the beautiful Cape York community of Mapoon last week to roll out the Pilot Carbon Farming training program with the Mapoon Land and Sea Rangers. Mapoon Land & Sea Ranger Lee Ase taking the lead on one of the Core Benefits activities. The week started off on a real high with all of the Rangers taking a great interest in the Savanna Burning Methodology, the Indigenous to Indigenous Strategy and the idea that those who wish to “spread their wings” and become a Project Verifier (which would be another feather in their hat as an Indigenous Ranger) could potentially allow them to travel to other communities within the Cape York, the top end of the Northern Territory and the Kimberley regions to verify other Indigenous Carbon Farming projects’ Core Benefits and share knowledge and practises with other Indigenous communities and/or Ranger groups. Rangers Jocelyn, Lawrie, Sarah and Geraldine participating in the Core Benefits activities. 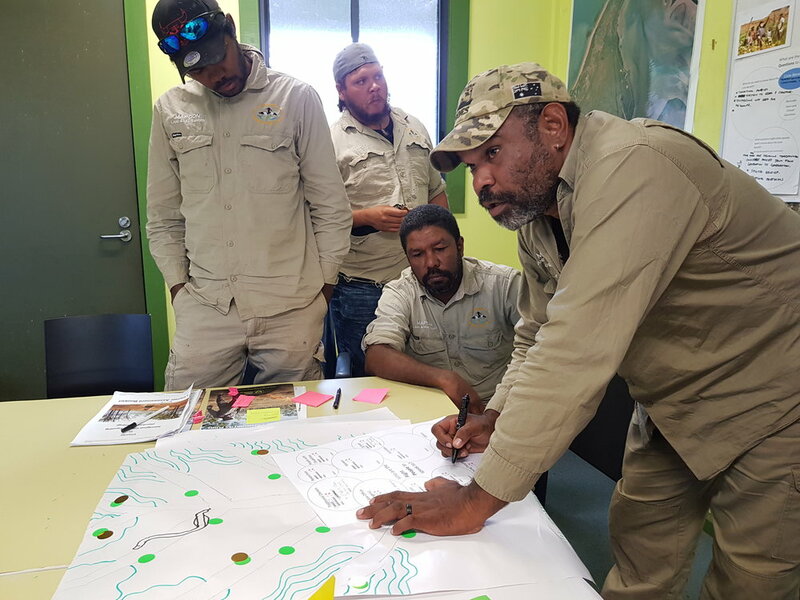 It was great to see that all the Rangers were willing to participate and be actively involved in the decision-making processes which would allow the AbCF and CfAT to fine tune the Carbon Farming course before it is rolled out across the board as an accredited training program. 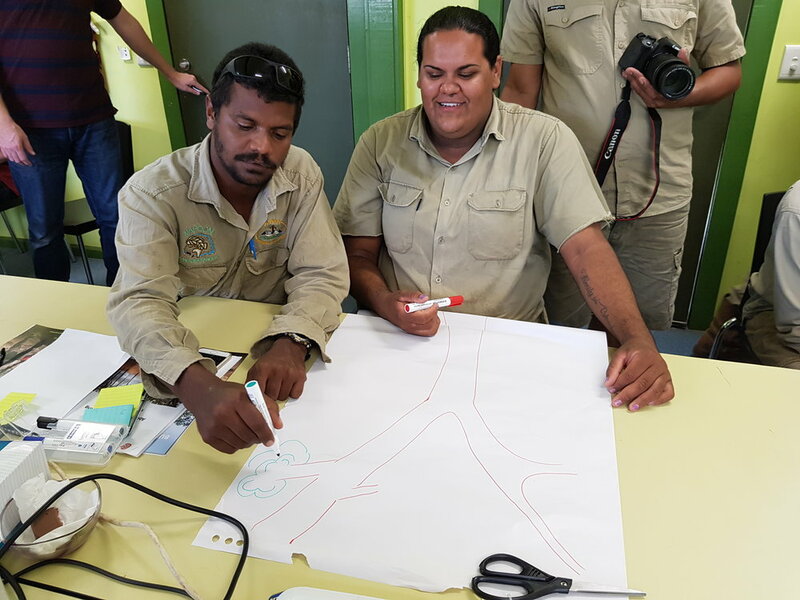 Rangers Jocelyn and Douglas drawing their Core Benefits tree. During the sessions Rangers learnt how to use the online tools NAFI (Northern Australian Fire Information) and SavBAT3 (Savana Burning Abatement Tool) to calculate how many Carbon Credits their Carbon Farming project could potentially generate, as well as how to properly measure, record and store data which will verify their Core Benefits for the project. 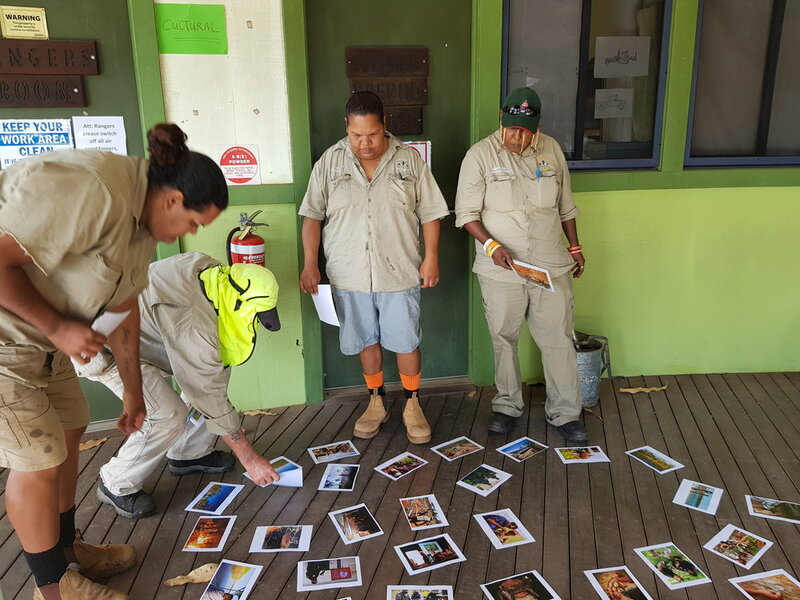 A highlight of the week was when the Rangers had a go at recording themselves and their work colleagues in mock interviews on camera, some of the footage captured was pure gold and showed just how much raw talent and knowledge this group of Cape York Indigenous Rangers have. Rangers Lee, Edwin & Craig participating in the Interview techniques activity by filming mock interviews. The Aboriginal Carbon Fund and our partners Caritas Australia and The Centre for Appropriate Technologies Ltd would like to take this opportunity to thank the Old Mapoon Aboriginal Corporation, the Mapoon Aboriginal Shire Council and The Mapoon Land and Sea Rangers for having us on country and allowing us to deliver our pilot training program.